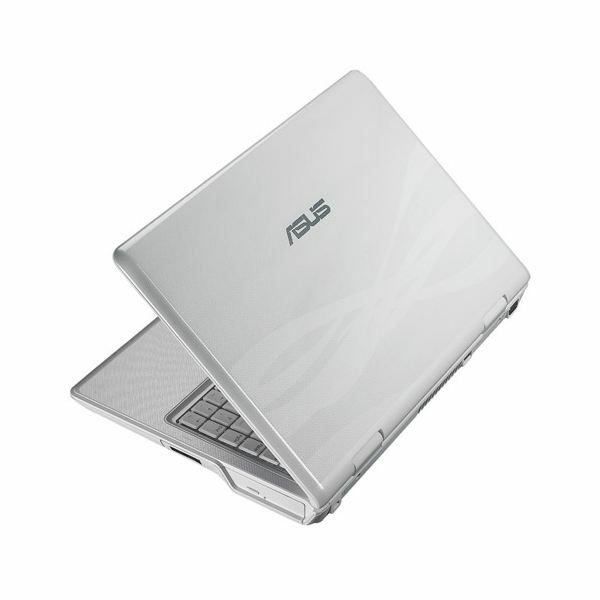 The Asus F80 series of notebooks came onto the market in 2009 and immediately made a strong impact. There were five models of F80 series released, but only two were offered in the United States (the other three found markets in East Asia and Japan). At the time they were at the forefront of the industry with top of the line specs and an innovative new case concept. Today, the only real selling point of the F80 series is the durability of a case that can be retrofitted for a user’s needs. The initial memory and CPU offerings for the F80 series included an Intel Core2 Duo Processor (T5850), 2.16 GHz 667MHz, FSB, 2MB L2 Cache, 4GB (2GB x 2 DDR2 667MHz) or an Intel Pentium Dual Core Processor (T3200), 2.0 GHz 667MHz FSB, 1MB L2 Cache (DDR2 667 MHz SDRAM, 2 x SODIMM socket for expansion up to 4GB SDRAM). The Pentium Dual Core processor was offered in the lower end F80Cr and the non-US models, while the Core2 Duo found its way into the premium F80Q. These were the top of the line notebook processors and offered the best performance available. Their staying power has been one of the reasons these notebooks are still relevant today. With all of these specs, what do they mean in terms of real world performance? When I opened Internet Explorer and played a few Flash games, Bloons Tower Defense 4 at Ninja Kiwi ran quite well. There were no lags until I reached level 90. This is comparable to the Toshiba Satellite I picked up last year. I also ripped a copy of Blade with my Nero software in just under 30 minutes. The F80 series featured a new display – the 14.1" WXGA Color-Shine. This, coupled with ASUS Splendid Video Intelligence technology, allowed the screen to enhance the depth and color intensity of images in real-time. The realistic rendering of the ASUS video chip set makes this device stand out. There is little pixilation, even when watching high-definition videos via the HDMI interface. High graphic load video games do have a tendency to lag, but no more than on comparable machines. The audio, however, is sub-par. While the F80 series came standard with an Azalia compliant audio chip with 3D effect and full-duplex capability, the speakers didn’t do anything to take advantage of it. The sound was tinny and very weak, especially during the playback on Blade. Even at high volumes it was hard to hear some of the dialogue. Using a set of earbuds made it a bit better, but the audio quality is still well below par – even for a notebook. ASUS F80 series notebook computers came with the option of a 160, 250, or 320 GB SATA hard drive running at the standard speed of 5400 rpm. These drives were ahead of their time when released (and are still nice sized today) but they can be upgraded to the larger 750 GB drives without much trouble. It is important that you stay with a SATA drive because the poor battery life of this laptop would be even worse with an IDE drive. The F80 series also sports a DVD drive and an 8-in-1 card reader. This is pretty much a typical compliment for a notebook. It’s got enough hard drive capacity for the typical user without an upgrade, but if you like HD movies or have an eclectic music taste, you’ll want to consider the upgrade. The ASUS also comes with standard Integrated 802.11 b/g/n wireless and built-in Bluetooth. The F80 series included additional software packages that made connecting to the net and hosting or engaging in virtual conferencing much easier: LifeFrame, SmartLogon and Virtual Camera. The F80 series is a beast of a machine. The 14 inch case weighs in at over 6 pounds with the battery. It is a solid piece of hardware that was the first to introduce the Infusion case that offered a cross hatch design instead of the traditional flat plastic. This feature helped eliminate fingerprints, scratches and smudging so there’s no need to continually wipe down the surface to keep it looking clean. It also featured a spill-proof keyboard to help alleviate the fear of a spilled coffee while working at the local coffee shop. Even with all of these great things going for it, you might wonder why the F80 series didn’t sell well and failed to last more than a year on the market. The answer is quite simple – the battery didn’t last more than 1 ½ hours (and that’s the 6 cell battery – the 3 cell performed even worse). This is unacceptable for a computer that is supposed to be portable. While I would love to give this notebook a four star rating, the battery life simply killed it for me. The number one thing a laptop has to be is portable. This one dies before you can really get started working on anything. You can’t watch more than half a movie without having to plug it in and this is with it in a power saving mode. If you try to run it at peak performance I doubt you’d have more than 45 minutes of actual productive time. it’s no wonder the F80’s run was short-lived in the United States and the only chance of finding one here is on the clearance rack or eBay. 2019 brighthub.com. All rights reserved.